Readers of GEO may find inspiration and renewed and strengthened vision in David Bollier’s newest book, Think Like a Commoner: a short introduction to the life of the commons (2014, New Society Publishers), which builds on many years of writing on the commons (for example, Silent Theft in 2002, and, with Burns Weston, Green Governance in 2013). If you are vexed by the question “What is to be done?” here are at least parts of the answer. This book provides a succinct sense of why the commons are important, how they have been and continue to be threatened, and how they can form the core of a vision for a better future. There are numerous references to interesting projects in different parts of the world, and to literature that can lead further in an exploration of the commons. In addition, Bollier strikes a good balance of providing pointers to actions that work without becoming prescriptive. In one place (p 170), for example, he notes that the “vision has to be negotiated and ‘co-enacted’ by commoners themselves.” But this cannot be up to individual initiatives alone, because the “most urgent task is to devise durable and appropriate institutions for commoning.” I fully agree, and the book provides some ideas how such institutions might be built (some of which are much further elaborated in the Green Governance book mentioned in the previous paragraph). In a way, this opening short-sells the book, which goes into much greater depth than would be possible in a short plane flight, or even a long one. He takes the reader on what might be likened to a week-long camping trip, pitching tents and having a conversation around the campfire every evening, so there’s time for reflection and new questions as one proceeds from chapter to chapter. The book first establishes what kinds of commons now exist (they are not just a thing of the hoary past) with examples such as a seed-sharing initiative in southern India, Linux, and Hawaii surfers who have rules about how to surf at the best sites without interfering with others. He also defines commons (essentially a group of people managing a set of resources in common). In the second chapter, he refutes the myth of the “tragedy of the commons” (later on he also talks about a “tragedy of the market”), drawing a lot on the work of Elinor Ostrom, but also pointing out that she “operated within the standard economic framework and its assumptions about ‘rational actors’ and ‘rational design’ in the construction of commons.” He goes on to discuss activists outside of academia who have taken up the idea of the commons, and overtly address issues of power ignored by Ostrom and her school. Chapters 3-5 review how commons are threatened by enclosures, due to the state supporting private property and market arrangements that enable a few to make large profits at the expense of everyone else, while undermining environmental sustainability. The English enclosures have their place here, as do struggles over water privatization, copyrights over software, patenting, and corporatized universities. 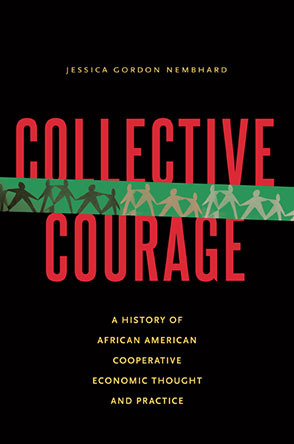 Bollier proceeds to restore the “eclipsed history of the commons” in chapter 6, to show how the commons always existed even if their history is now ignored, and how the commons continuously adapt to changing local situations; he interprets the socialist and communist movements as “attempts to ameliorate some of the worst structural problems created by the dissolution of the commons.” However, he charges, these have relied too much on the state, which has proven a rather ineffective means to correct the social and environmental abuses of the market. Chapter 7 delves into a deeper critique of the theories of property rights underpinning capitalism (particularly the ideas of John Locke). Bollier’s review in these chapter of threats or challenges to the commons sets the stage for chapters 8 and 9 about commons as solutions. Here he explores the realms of the Internet and digital knowledge commons as well as the more tangible commons. The latter includes subsistence commons, indigenous peoples’ commons, community supported agriculture, state-trustee commons, and ventures such as Cecosesola in Venezuela (a remarkable network of cooperative organizations that started as a cooperative funeral service in the 1960s and has since branched out into food, health, and other areas, while developing non-hierarchical and non-market based methods of collaboration and mutual aid). Chapter 10 explores some of the thinking that undergirds the commons, while the final chapter (11) addresses the future of the commons. Bollier’s hope is “not so much to ‘scale’ the commons in a linear, hierarchical sense – that’s so twentieth century! – but rather to intensify and diversify its workings everywhere at once.” He follows Silke Helfrich in talking about a “crystallization” of the efforts of countless groups that will ultimately change the system. The end-matter of the book includes a short summary statement and a table contrasting the logics of the commons and the market, a list of further readings, a list of websites on the commons, and an index. While I agree with most of the book, there are some relatively minor points I would like to raise for discussion. For example, on p. 92 Bollier states “as workers’ collectives adapted to the requirements of state law, bureaucracy, corporations and market forces, the practice of commoning – and the vitality of the commons – slowly disappeared.” This statement seems overly broad to me (although there are of course many instances of this tendency), and I think it is important to remember that there are co-operatives that have continued to remain a vital force – and to learn from them. I find that Bollier misses an opportunity to learn from and offer the best that co-operatives have to offer. Another debatable point is why mainstream economists are not interested in subsistence commons. Bollier says that an important reason is that “the value of subsistence commons cannot be expressed in numbers, they don’t show up in GDP statistics” (p. 129). I would put this differently: mainstream economists avoid paying attention to any numbers which relate to use value rather than exchange value. One can indeed talk about how many people get how much of their food, water, shelter and so forth from subsistence commons; all this is quantifiable if one just tries. The take-home message that I have for critics of the present system is that we should be ready to use the power of numbers both in critiquing existing realities and in affirming viable alternatives. A third point for discussion is Bollier’s notion of theory versus practice. He praises commons for being based in practice not theory, allowing them to “skirt many of the enervating battles over ideological purity that often plague movements.” He goes on to say: “Ideas matter, to be sure, and strategic debates are important. But as the conceptual artist Jenny Holzer has pointedly noted, ‘Action causes more trouble than thought’” (both quotes on p. 170). I would argue that commons are just as susceptible to ideological debates as any other type of social organization, particularly when they happen to run into some kind of trouble. What we need to overcome is the habit of thought of believing that the only “important” knowledge is either epistemic knowledge (supposedly universal theories) or technical knowledge (how to do things), while in fact there are other types of knowledge as well. Of special importance, as Bent Flyvbjerg has masterfully explained in his book Making Social Science Matter, is the kind of knowledge that Aristotle referred to as “phronetic,” the ability to judge what to do in a specific situation, grounded in a reasoned understanding of values and of technical and epistemic knowledge, but always sensitive to local contingencies. If we apply our phronetic abilities to building the commons, we can help create not just trouble, but a better world! David Bollier’s book is one useful guide-post along the way. A Review of Gar Alperovitz's "What Now Must We Do?"